17/12/2014This entry was posted in Avignon, Europe and Middle East, France, South of France and tagged Avignon on 17th December 2014 by Solange Berchemin. 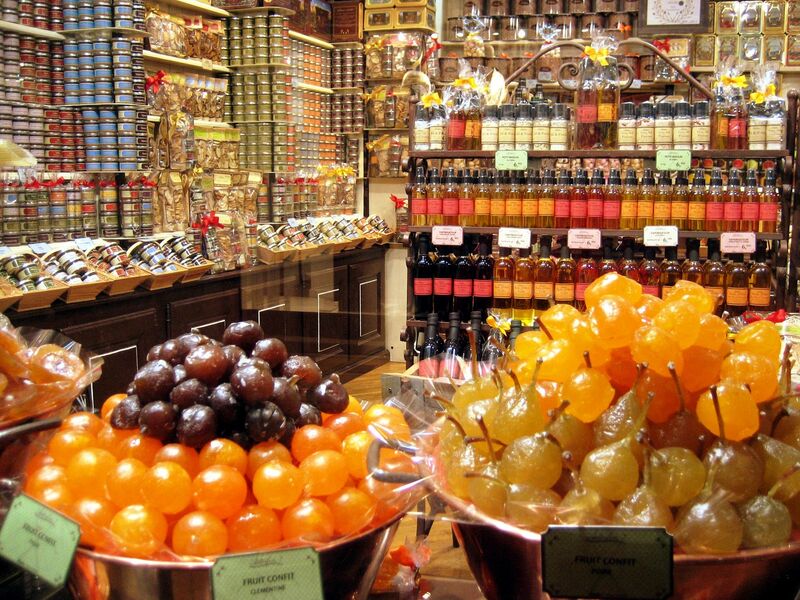 Avignon celebrates catholic festivals the same way it celebrates its gastronomy and culture, with a genuine reverence for its past and a real enthusiasm for modernity. 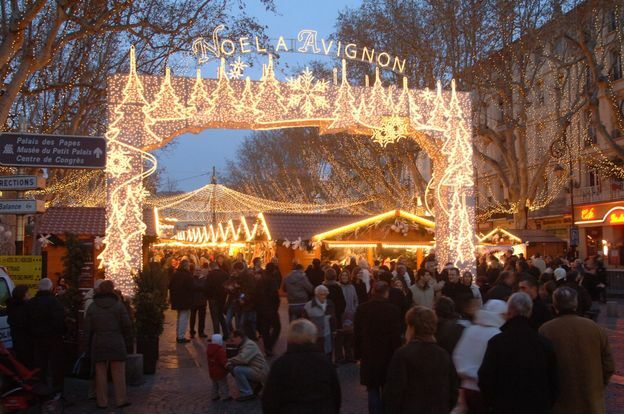 Next time you fancy a Christmas market with a soul, Avignon at Christmas is the place. 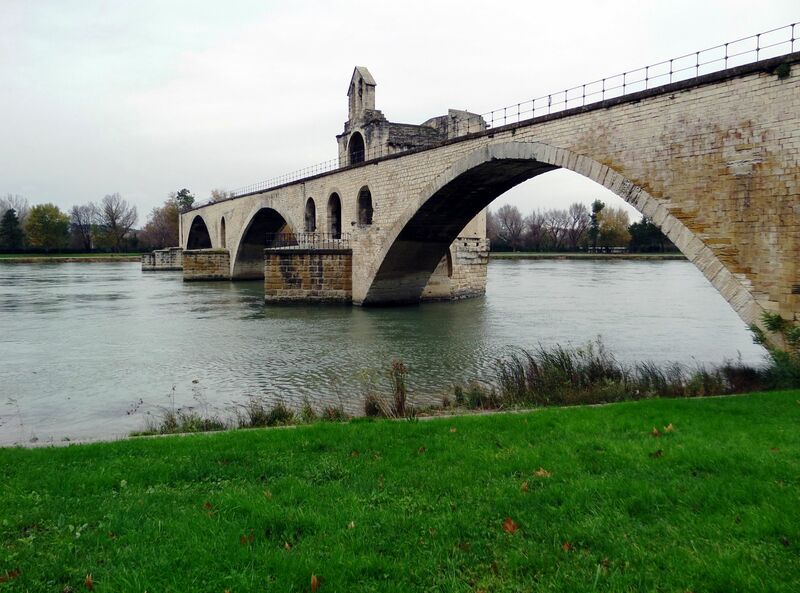 Avignon nicknamed “The chiming Town” is famous for its summer theatre festivaland and its bridge. It’s less known that within its 800-year-old stone ramparts, along the cobbled streets this elegant medieval city offers a major festival each month of the year. In the Middle-Ages, Avignon was the capital of the Christian world. From the 14th century, following a ding-dong (not that of the many bell towers proudly dotted around the city) but subsequent to a strife between Philip IV of France and Pope Boniface VIII, nine popes reigned from Avignon. During this period, most of what is known, today, as Avignon intra-muros was designed and built to accommodate the members of the clergy. The papal legacy doesn’t stop at the magnificent Gothic buildings, churches and palaces, it’s deeply entrenched in Provençal psyche. 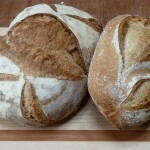 In Provence, nothing is rushed, there is no talk of Black Friday or Cyber Monday, “Christmas time”, according to the tradition should last 40 days ending in February with pancake day (la Chandeleur). On the 24th of December, the midnight-mass takes place after the “big supper” and a baby Jesus is then placed in each crib. 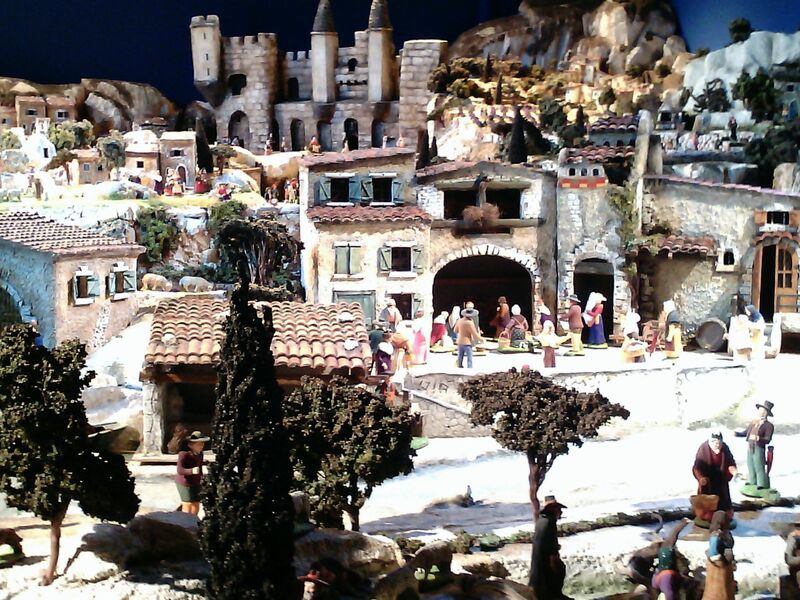 Each year, in Avignon, a 10 meters Provençal village with a crib at its heart and populated with Santons is recreated. In the past, Santons were made out of dried bread, painted and varnished. They are now delicately hand-painted terracotta figurines, about 20cm tall. 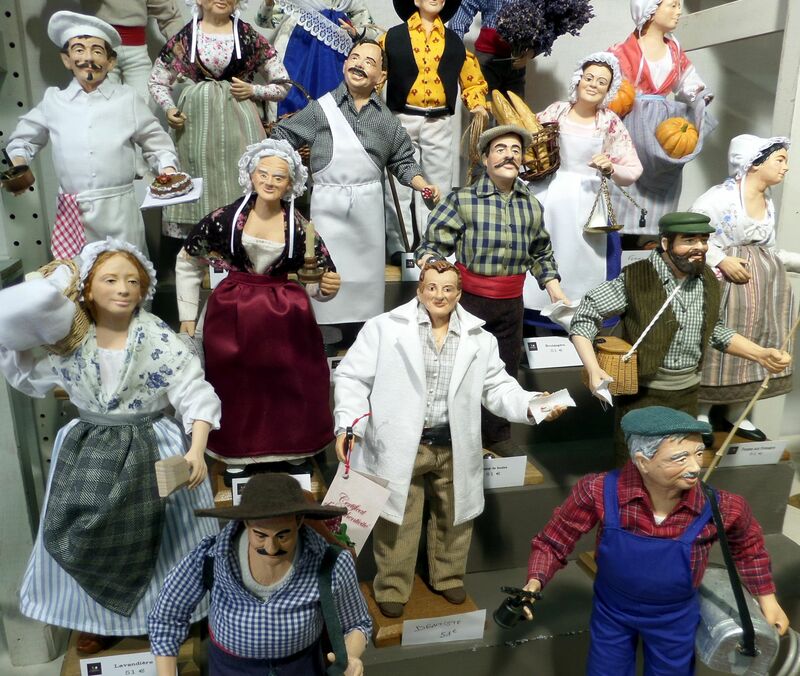 To this day, each small figurine is made by hand and represents a character from Provençal village life such as the shepherd, chestnut seller, baker and even plumber. This year, the crib has been homed in the church des Celestins, 600 Santons “go about their business” in the shadow of a terracotta miniature Palais des Papes, tiny lavender fields and a barn awaiting for its Jesus-Santon. In the chapel of The Palais des Roures there is a representation of “the big supper” with its famous 13 desserts. 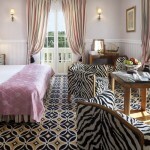 The spirit of Christmas has indeed been blown into Avignon by the Mistral and is there to stay. 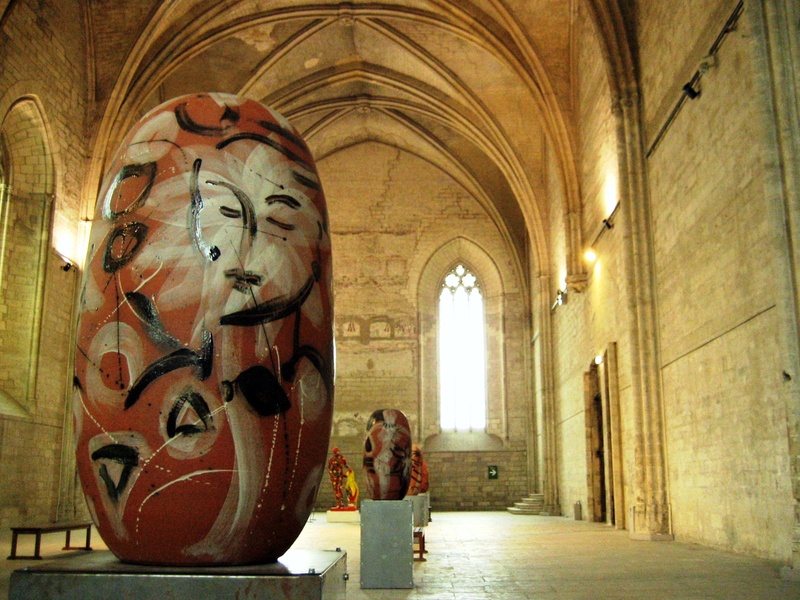 We are told that Avignon will soon have its very own Oenotourism centre dedicated to the Cotes du Rhone wines. The Pont Benezet, a legend of a bridge 13th century continuously repaired until the 17th century, you may not be able to cross to the other bank with this bridge but it’s good for a sing-song. The Halles’ plant wall a 11.5 meters wide structure with 20 plants per square meter. How do I get to Avignon? 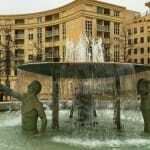 Various Free public Wi-Fi zones are dotted around the place. Thanks : I would like to thank the tourism office and in particular Sylvie Joly for organising our stay and being our guide.